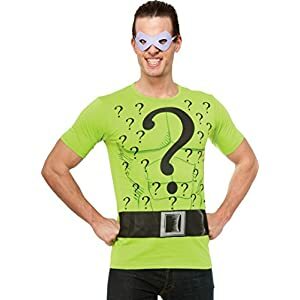 Printed costume riddler t-shirt and mask. Available in women’s medium (dress size 10-14), large (14-16) and extra large (16-20). 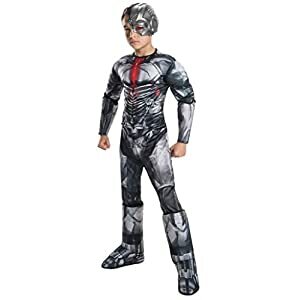 Costumes officially licensed by DC comics. 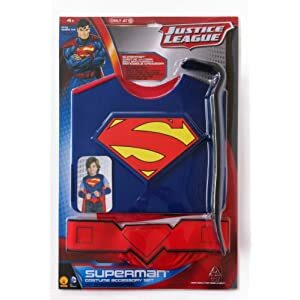 Superman Chest Piece with Cape. Belt. Arm Guards. 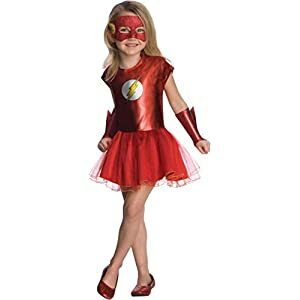 Justice League The Flash Child’s Costume, Small. Red jumpsuit with yellow accents. 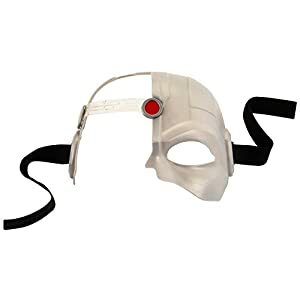 Red headpiece with attached yellow foam lighting bolts. 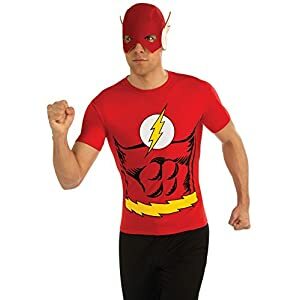 Printed costume flash t-shirt and mask. 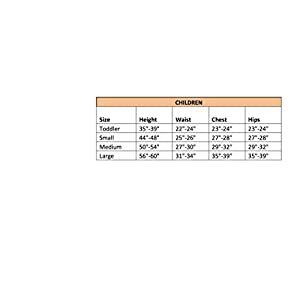 Available in women’s medium (dress size 10-14), large (14-16) and extra-large (16-20). 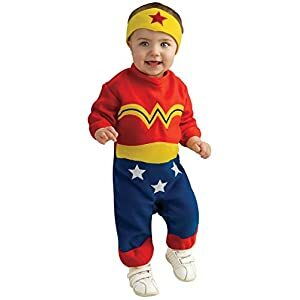 Costumes officially licensed by DC comics. 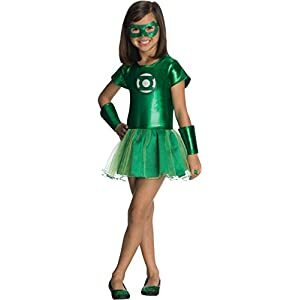 Look for the entire Justice League tutu dress collection, also available in adult sizes, makes a great group or family costume. 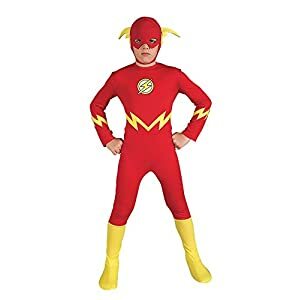 Justice League is a trademark of DC Comics, Warner Brothers and Cartoon Network, use in this costume is officially licensed. 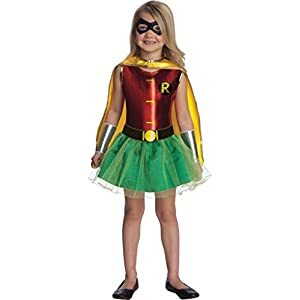 Since 1950 Rubie’s Costume Company has been making dress-up fun with costumes and accessories for the entire family.